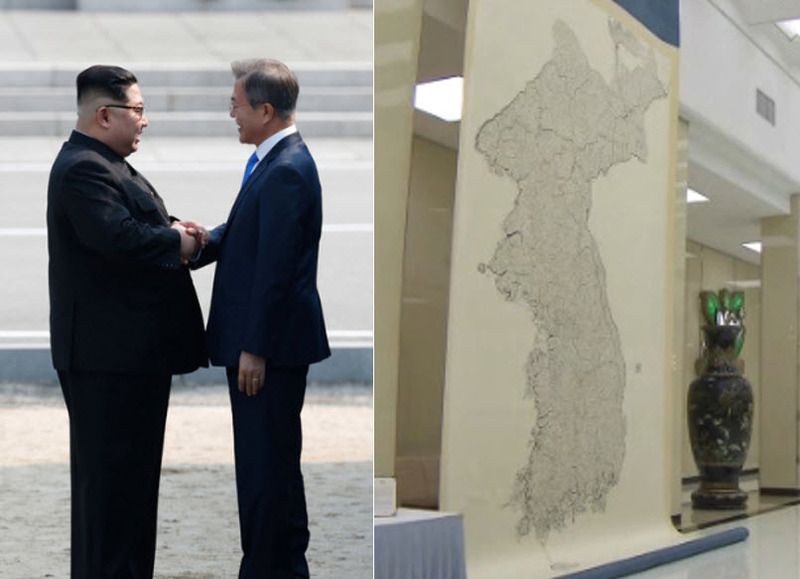 For the occasion of the Inter-Korean Summit in Pyongyang, held from September 18 to 20, South Korean President Moon Jae-in gifted North Korean Leader Kim Jong-un with a replica of the Korean map Daedongyeojido. Created by Korea’s legendary geographer and cartographer Kim Jeong-ho (1804-1866), the Daedongyeojido is a cherished relic with great historical value. The gift symbolizes the hope for unification, in that the map depicts a whole and undivided Korean peninsula. 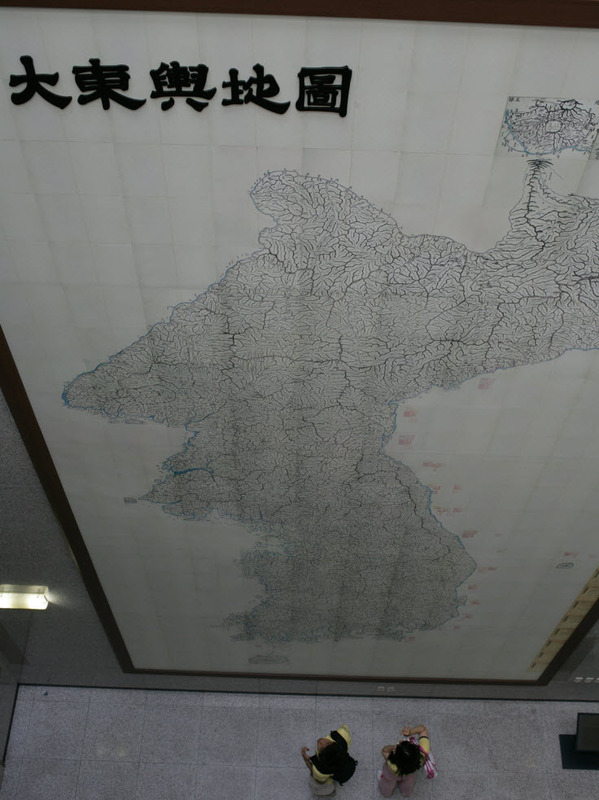 The map was installed in the Mokran House in Pyongyang, where the third official meeting between the two Koreas this year took place. This marked only the fifth such meeting since the division of the Korean peninsula following the Korean War. The Daedongyeojido, or the “Great Map of the East Land,” was created during the Joseon dynasty. Spanning 4.2 by 9.3 meters, the map is divided into 22 separate foldable sections. The map shows detailed features of the land including mountain ranges, rivers, and transportation routes. The map was engraved into wood, making it possible for copies to be made. The original copy of the Daedongyeojido is on display in the SNU Kyujanggak Institute for Korean Studies, which is open to the public from Monday to Saturday, 9am to 5pm. Admission is free.